This is the tenth in a regular feature in which we will highlight some of the excellent news, articles, tutorials and competitions we have on our sister site Synth Expert. 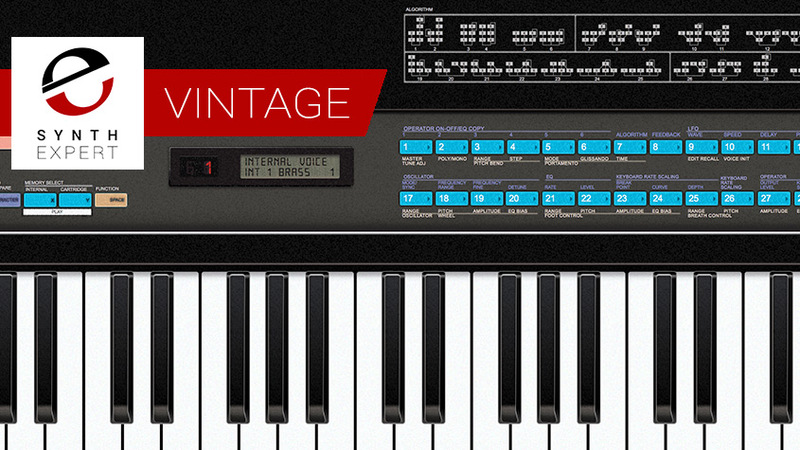 This week we feature the new, free Little Plate from Soundtoys, the DX7, a new and comprehensively equipped envelope generator and a roundup of this week's new gear releases. This Friday's free plug-in is the fantastic Little Plate reverb from SoundToys. It's an emulation of classic plate reverb, in which the dry signal is amplified by an electro-magnetic transducer, which then vibrates a large metal sheet (about 2x3 meters), resulting in the reverberated signal. Plate units were large and heavy, but before digital reverb, they were the only means to simulate reverberation as opposed to actually recording in a room that had the desired acoustic qualities. You can get Little Plate absolutely free through November 22, 2017. In the latest of his Synderella Stories, highlighting vintage synths which, while not regarded by all as classics, shouldn't be overlooked. This week he considers the (in)famous Yamaha DX7. Head over to Synth Expert to find out more. STG Soundlabs, the modular manufacturing business of Knobcon founder "Suit &Tie Guy," is now taking orders for their envelope generator, billed as "the world's most advanced ASDR," in both 5U and Eurorack formats. Here's our latest synth and studio gear recap, looking back at week 1, November 2017, including the 1010music Toolbox, the Electro-Harmonix Synth9, Sample Logic Expeditions and the DS Audio Thorn.